How can you love me, when you don’t love me, baby? 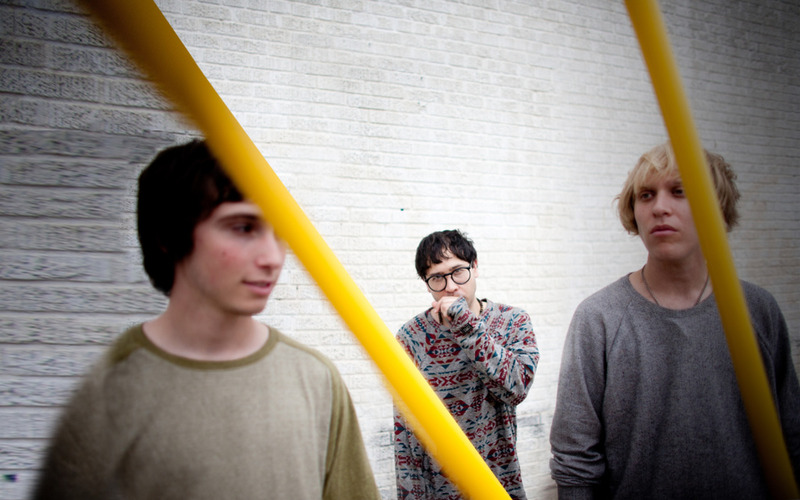 Based out of Portland, Oregon, Unknown Mortal Orchestra was formed in late 2010. The group consists of New Zealand transplant Ruban Nielson (formerly in the group The Mint Chicks) on guitar, Jake Portrait on bass and Julien Ehrich on drums. Unknown Mortal Orchestra’s sound is a modern synthesis of the works of ‘60s and ‘70s artists such as Sly Stone, Captain Beefheart and The Beatles. Releasing their first single Ffunny Ffrends online, the group raised eyebrows with their modern beatnik pop sound infused with breakbeats and electro-ambience. Gaining label support from Mississippi-based Fat Possum Records, Unknown Mortal Orchestra’s self-titled EP was released on June 21, 2011. Some bands make lo-fi music out of necessity, but wish for a real studio. Other bands use it as a tool to offset and augment more expensive recording equipment. Unknown Mortal Orchestra's music is firmly in the latter camp. UMO is the solo project of Ruban Nielson, a Portland resident by way of Auckland, New Zealand, and the former guitarist of downunder punk-funk heroes The Mint Chicks. After The Mint Chicks dissolved in 2009, Nielson took to his basement to air out some pent up creativity. He launched a mysterious bandcamp page and posted a track called “FFunny FFriends” without a bit of explanation. The mixture of laid-back hip hop drums with his scratchy croon and psychedelic flourishes went viral, getting picked up by blogs around the world, and setting people to wonder who Unknown Mortal Orchestra could possibly be. Nielson continued recording and finally revealed himself in 2011 along with Unknown Mortal Orchestra, a debut album collecting nine brilliantly eccentric gems of psychedelic lo-fi funk. “How Can You Luv Me” is Nielsen's wacky version of a feel good funk jam. He sounds like Rod Stewart where he manages to be a) cool and b) from Mars, as he asks, “how can you love me, when you don't like me?” over a junk yard Motown drum beat and spacy phaser-heavy guitars. “Jello and Juggernauts” is a more chilled out affair. Nielson's vocals have an effortless feel that sound oddly very similar to Paul Simon on his self-titled 1970 solo debut. Nielsen's created the lo-fi spiritual funk genre with “Little Blu House.” He sings, “Little Blu House is sitting high on the mountainside, oh to be high on the mountainside,” harmonizing with himself and letting the vocals meld beautifully with ringing electric guitar. This album has the easy going feel of someone setting up a microphone and just letting loose without self-consciousness or agenda. The result is a refreshingly original and fun listen.